Marketing your business online (and offline) is one of the most important aspects for assuring its on-going success and growth. The primary function of marketing is to let people know what your business is, what it provides in terms of products or services and the kind of clients you serve. Even the best products or services need to be advertised so that people can learn about them. This does not mean that you need to spend a lot of money on marketing. However you do need to develop a good strategy that includes online marketing to promote your business. Below are three inexpensive and effective ways that you should use to market your business. Reviews have become one of the most effective methods of marketing online. These days consumers will typically go online to look up a product or review your company services before deciding whether to buy or not. The latest national statistics indicate that more than 81% of shoppers and 94% of B2B buyers will review information online before making a purchase decision. Having a list of positive reviews that speak about the quality of your product or service will give you a big advantage over your competition. You may want to consider reaching out to influential people in your target demographic. In many cases a positive comment from them will ensure that your product or service reaches a wider audience and increases the credibility of your brand. Many businesses cast a wide marketing net and think it will yield better results. While you may reach a wider audience with the approach, it does not make much financial sense if you have a low response rate. Before diving into a marketing strategy, consider spending some time thinking about and researching your target market. Who is your targeted customer and why are you focusing on them? What are their needs or challenges and how does your product or service address this? Once you have the answer to these questions you will be able to devise a marketing strategy and develop more effective content that can speak to them and address their needs effectively. One of the best ways to encourage people to do business with you is to tell them what makes you different than the competition. This can be something that makes your product or service more appealing, or something about your life experience that explains why you do what you do. Whatever makes you and your business unique, and differentiates you from the competition make sure that you communicate that effectively to the world. If your story is particularly interesting and unique, you might get a lot of visibility on social media. 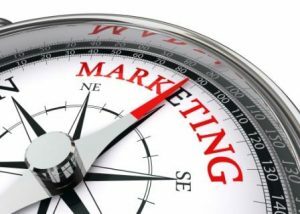 Although marketing is an important part of growing a business, it does not have to cost a lot of money. By implementing the techniques mentioned above you will be able to advertise your business in an effective and inexpensive way. If you need online marketing services with an effective strategy to help you marketing your business contact us for a free consultation.